Locate the CXA1645 video chip near the multi-video out connector. Cut the trace coming from pin #7. Connect pin #7 with pin #1 on the same chip. 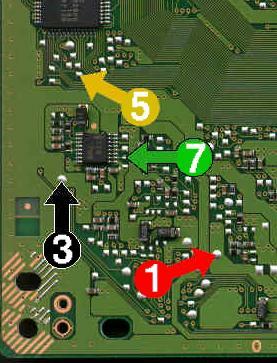 The installation for an NTSC SCPH-5500/5501 PS is identical except that that pin #7 on the CXA1645 is connected with pin #12 on the same chip instead of #1.